Embrace the beauty while enjoying three train experiences and five National Parks and much more. Upon arrival in Denver meet your Tour Director and transfer to your hotel for your overnight stay in the Mile High City. This evening join your Tour Director and fellow travelers for a Welcome Dinner. 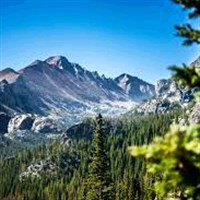 Today travel northwest of Denver to Rocky Mountain National Park and discover the true meaning of panoramic. This celebrated "Roof of the Rockies" offers views of massive peaks and rugged canyons as you experience one of the largest national parks in the United States. Later travel through the scenic Colorado Rockies and arrive in Grand Junction for a two night stay. Today travel west into Utah to visit two of our country's great national parks. 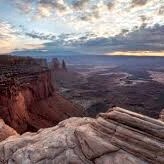 This morning visit Canyonlands National Park featuring deeply eroded canyons interspersed with sheer-sided mesas and a variety of spires, arches and unusual rock formations. Then stop at Dead Horse Point State Park for an amazing view of the Colorado River. 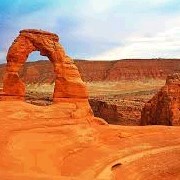 A short ride brings you to Moab, Utah for lunch on your own in this town famous for western movie making. This afternoon visit Arches National Park to see some of the famous arches (over 2,000 in total) and marvel at other red reck formations and canyons. Return to Grand Junction and enjoy dinner with your fellow travelers. Today journey south to Silverton, secluded in a mountain valley at an elevation of 9,318 feet, to begin a wonderful train experience. It's all-aboard the 1881 coal-fired, steam-powered Durango & Silverton Narrow Gauge Railroad for a spectacular rail journey through the San Juan National Forest following the sheer cliffs of Animas River. Arrive in historic Durango for a two night stay. Durango began as a mining town during the gold and silver booms. Today it's a center of year round tourism, commerce, culture and ranching featuring a Victorian downtown where you can still enjoy the spirit of a bygone era. This morning visit Mesa Verde National Park, home to the largest and best preserved Anasazi Indian cliff dwellings in the Southwest including the famous Cliff Palace. Venture out on the Mesa Top Loop Road which winds around overlooks to see some of the 4,000 ruin sites including 600 cliff dwellings. Return to Durango for an evening at leisure in this great western town. Today travel east to Great Sand Dunes National Park, established in 2004 & known for huge dunes and beaches created at the base of the dunes. Stop at a Visitor Center to learn more about this National Park, containing the tallest sand dunes in North America, rising to a maximum height of 750 feet from the floor of the San Luis Valley on the western base of the Sangre de Cristo Range. Later, journey to Colorado Springs, a picturesque city situated at the foot of famous Pikes Peak. "The Springs" as it is commonly referred to attracts thousands of visitors each year for its picturesque setting, historic & military sights and natural wonders. This morning travel and board the Pikes Peak Cog Railway, the world's highest cog railroad, for an 8.9 mile trip to the summit of Pikes Peak (approx. 14,110 ft.). On a clear day you can see 75 miles to Denver and over 100 miles to New Mexico. 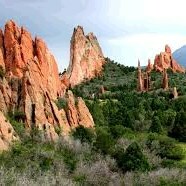 Later, visit the famous Garden of the Gods, on the National Register for Historic Places. Located where the Great Plains meet the mighty Rockies, this 1,300-acre park is home to towering sandstone formations. Then visit the U.S. Air Force Academy located at the foot of the majestic Rocky Mountains. The Academy is Colorado's most frequently visited man-made attraction and home to cadets participating in the officer-training program. Stop at the Visitor Center featuring exhibits on cadet life and the unique Cadet Chapel, a national landmark with 71 gleaming aluminum spires soaring skyward. Today experience some of the most arresting scenery in all of American railroading aboard the Royal Gorge Train. The rail jouney travels from Canon City to Parkdale along the Arkansas River through the scenic Royal Gorge and features dramatic views of the Royal Gorge Bridge, the world's highest suspension bridge. Tonight experience a Farewell Dinner at the Flying W Ranch where you will enjoy a hearty Chuckwagon Supper & Western Stage Show. Transfer to Denver Airport for your flight home filled with wonderful memories of your travel experience. Includes: Rountrip airfare from Pittsburgh International Airport, eight breakfasts, three dinners, professional tour director, motorcoach transportation, hotel transfers, admissions and sightseeing per itinerary, and baggage handling and taxes.